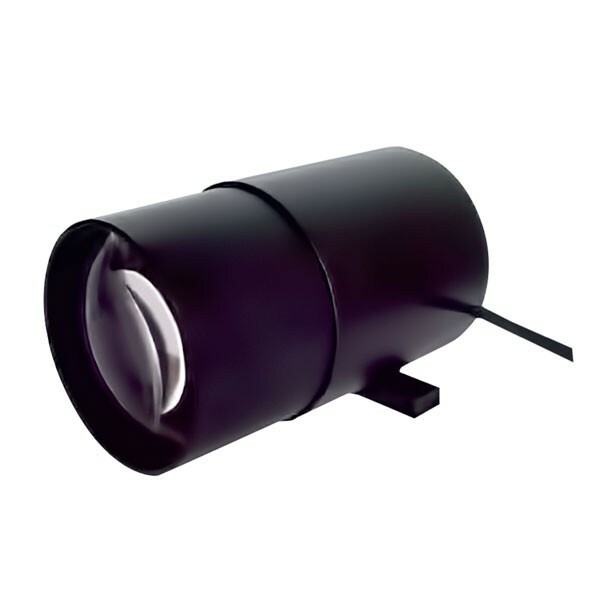 This lens is designed to resolve the special CCTV tasks for long and extra-long distances. Depending on weather conditions and sight distance it can detect objects at an up to 15 km distances and recognize full-sized figures at an up to 10 km distances. This lens is designed for use with high resolution CCD matrixes at up to 8 megapixels and bigger format up to 1/2″. Automatic septum allows to use this lens amid the lack of light. Septum tuning can be done by DC signal. Large aperture of F=1,65 allows to receive the quality image amid the lack of light. Lens optics have a FMC and is made from optical flint of domestic production. Lens’ body is made from metal alloys. Lens’ warranty is 6 months. Resolution is up to 8 megapixels. All components are made from metal. 6 months warranty.